Steve’s Auto Repair & Tire was recently recognized by a Prince William County publication. 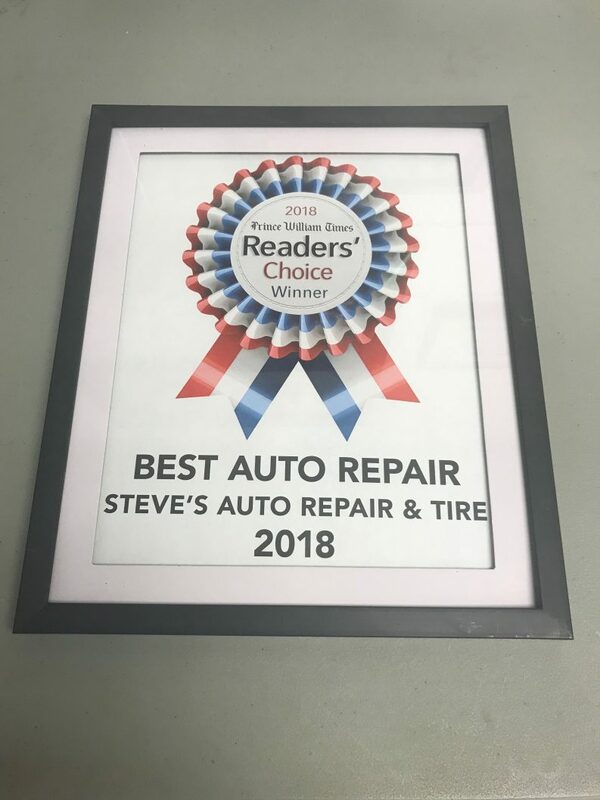 The Woodbridge-based shop was named “Best Auto Repair” in the 2018 Prince William Times Readers’ Choice Award. Through the contest, community members could vote for local businesses and services.